When Is The Best Time To File A St. Louis Bankruptcy? The answer to this question is completely dependent upon your particular set of circumstances. There are several common scenarios under which someone would file a St. Louis bankruptcy (and there are a great many facts common to each bankruptcy petition that is filed). But in the end, it comes down to what you believe is best for you and your family. Since at least 2008, the United States economy has undergone drastic changes. These changes have resulted in a level of upheaval that many Americans have never experienced before. One the consequences of this change has been widespread job loss (or severe cutbacks in hours and days worked). As household income drops, the necessity to take out lines of credit increases. The choice to create new debt (especially of the unsecured variety, like credit cards) is not something that people put at the top of their wish list. But sometimes, it is necessary in order to put food on the table. Eventually, it can become apparent that living in such a way is not sustainable. The lines of credit dry up, monthly payments get missed, and the creditors start calling. At this point, the amount of stress that you had felt because of the job loss is now compounded by harassing calls and threatening letters. Families have been torn apart by this cycle, and many a marriage has split as a direct result. But the future does not have to look so grim. For instance, a St. Louis Chapter 7 bankruptcy will discharge all of your unsecured debt (credit cards, medical bills, payday loans, etc) forever. It will also put an end to any wage garnishments, stop a bank levy, and eliminate any lawsuits against you. Once the debt is knocked out, the stress dissipates and you can begin to rebuild your life. Or in the alternative, a St. Louis Chapter 13 bankruptcy will put you into a repayment plan over the course of three to five years during which you will pay back certain creditors. The primary use of a Missouri Chapter 13 is to stop a home foreclosure. But another frequent use of the Chapter 13 is prevent a car repossession, and to begin a repayment plan for tax debt and back child support. 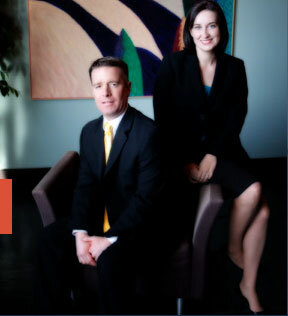 Either way, the affordable St. Louis bankruptcy attorneys at Brinkman & Alter, LLC have been assisting people with their debts for over ten (10) years. Our goal is to make sure that you understand your range of options, to answer all of your questions fully, and to put you on the path towards financial recovery.